DragonForce shredder and enemy to Guitar Hero players everywhere Herman Li talks about the band’s upcoming album, their hit single ‘Through the Fire and Flames’ and more. 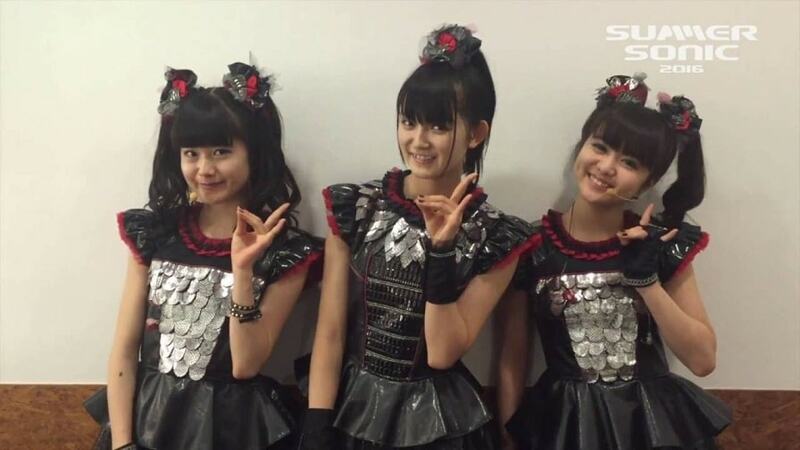 Last day of #summersonic and we ran into @babymetal_official ! Grammy Award-winning Rock And Roll Hall Of Fame inductees RED HOT CHILI PEPPERS will return in December for their first U.K. tour in five years. Red Hot Chili Peppers live at The O2, the world’s most popular music and entertainment venue. Find Red Hot Chili Peppers tickets, event details and more. The Californication rockers have announced dates across Britain, including two gigs at London’s O2 Arena. BABYMETAL Will Be Appearing as “Special Guest” for RED HOT CHILI PEPPERS’s England Tour! Red Hot Chili Peppers will return to the UK in December for their first tour in five years…. Red Hot Chili Peppers announce UK tour with Babymetal as special guests! J-pop metallers to open for band on UK tour. The massive bill will invade arenas in England and Scotland this December. Babymetal Is Opening for Red Hot Chili Peppers! Babymetal are officially opening for Red Hot Chili Peppers on a U.K. tour. See the list of RHCP/Babymetal tour dates here. Babymetal have called on fans to give a bunch of middle-aged white guys a chance to show they can rock.